If you, as a recruiter, are asked, “Are you a professional?”, you are virtually certain to not only say “yes” but to say it proudly. But if you are asked what it means, like any of the hapless foils set up and engaged by Socrates in Plato’s dialogues when asked a tough question such as, “What is justice?”, you may get stuck. It’s that kind of getting stuck—at least initially. You may say that being a proud professional recruiter means, as a minimum, adhering to the ethics of the profession. But then, the examples of the “professional ethics” of the invasive, law-breaking paparazzo, the professional arsonist, the even more extreme example of professional and ruthless and cruel banana republic military mercenaries and mob hit-men amply demonstrate that conforming to the ethics of a profession is not a sufficient basis for pride, complacency or ethical conduct. If the possibility that codes of ethics can be unethical is not yet apparent to you, the ambiguity and the ethical implications of the phrase “bank job” should suffice to demonstrate it. Right Because Rules, or Rules Because Right? The critical consideration regarding professional ethics is not whether you abide by them, but whether, by broader ethical standards to which you do or should subscribe, the professional code is itself indeed ethically well-grounded. To see this, compare whatever recruiter code of ethics you follow and the Ten Commandments presented by that other moral gadfly, Moses: Are they commanded because they are right, or right because they are commanded? If you claim they are commanded because they are right, you must have some moral or ethical criterion of rightness that is independent of their being compulsory and the say-so of Moses or anyone higher up. That means you don’t need to be told what is right or what to do. In that case, the commandments (or rules in a recruiter code of ethics) are personally unnecessary, since they merely consolidate what you previously and independently have recognized and justified as right. If they did not, would you still accept them? Accept them or reject them—either way, the burden of judgment and the freedom of choice remain yours, and only yours. On this analysis, the locus of your moral self-control is existentially internal, not theologically external. On the other hand, if the commandments promulgated by Moses (or your professional rules) are alleged to be right because they are commanded (by God, some regulatory body or by peer pressure), they are stripped of all moral force, irrespective of whatever physical, coercive force backs them up, e.g., threats of eternal Hell fire, ostracism from the tribe, or firing in this life. This is because, as ethics profs ceaselessly remind their students, “You cannot derive an ‘ought’ from an ‘is’.” The fact that anything is commanded can never prove it morally ought to be commanded, since all kinds of evil can be commanded, e.g., “Kill all the first-born males”. Likewise, even if the “law of the jungle” and “survival of the fittest” do prevail in the jungle or the office, it doesn’t follow that they should or morally must. As part of your professional code of conduct, acceptance or rejection of the values of moral Darwinism or the Ten Commandments cannot be justified by the facts of natural Darwinism or by the fact that the commandments have been commanded. Note how, in any situation not covered by what you understand to be the formal recruiter code of ethics, e.g., whether it is OK to date or accept a gift from a candidate, your own personal ethics will have to fill that vacuum. The point being made here is that, whether you realize it or not, your own independently-formulated personal ethics are the ultimate and sole arbiter of not only such off-code, unregulated behavior, but also of the rest of your professional, as well as personal codes of conduct, and, as a natural consequence, of your actions. The most that can be expected of a formal recruiter code of ethics is that it lets you know that your values are welcome in this profession and that others are not. In other words, any “official” recruiter code of ethics as ethics only validates your own independently formulated values, rather than define them. Given that the mere existence of an explicit or tacit code of conduct for recruiters is not sufficient to assure it is the or a right code, you will have to decide whether to make your broader conscience determine your professional ethics, rather than vice versa (i.e., having the official professional code determine your conscience). 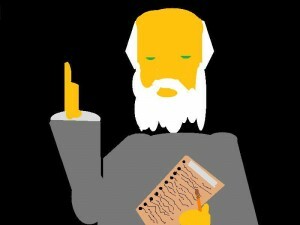 Socrates: “And precisely what do you mean by ‘wiser’?”….